Inspired by the free-spirited idea of world travel, Figue's Spring '19 collection is called 'Nomad Love'. 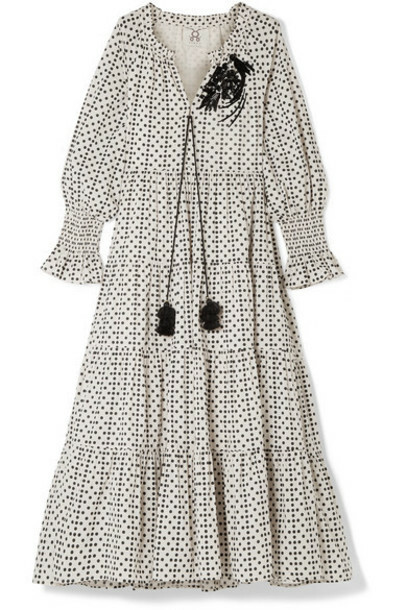 This cotton-voile 'Bella' dress has a billowy, tiered silhouette tempered by shirred cuffs that create fluted, voluminous sleeves. It's embellished with sequins in the shape of a bird hovering over a flower and has long, tasseled ties at the gathered neckline.